Clearly our most advanced notebook ever. When you pack so many pixels into a display — over four million on the 13-inch model. The pixel density is so high, your eyes can’t discern individual pixels. Images take on a new level of realism. A spectacular 2560x1600 resolution on the 13-inch MacBook Pro. And text is so sharp, you’ll feel like you’re reading email, web pages and documents on a printed page. The Retina display reduces glare while maintaining incredible colour and quality. Its high contrast ratio results in blacker blacks and whiter whites. And everything in between is rich and vibrant. IPS technology gives you a wide, 178-degree view of everything on the screen, so you’ll see the difference at practically any angle. And you’re going to love what you see. With a fourth-generation dual-core Intel Core i5 or Intel Core i7 processor, the 13‑inch MacBook Pro with Retina display lets you take your most performance-hungry apps on the road. That means wherever you can take your camera, you can take your entire digital photo studio. Hyper-Threading technology, which enhances performance by letting each core handle multiple tasks simultaneously, is included in every model. And with speeds up to 3.0GHz, shared L3 cache up to 4MB and Turbo Boost speeds up to 3.5GHz, these processors are ready for just about anything. The 13-inch MacBook Pro with Retina display features Intel Iris Graphics to handle both everyday tasks and graphics-intensive creative apps. Scroll through large photo albums with ease. Play games with amazing detail. Even connect an external display or two. It’s just another way this 13-inch MacBook Pro is small on size and big on performance. The 13-inch MacBook Pro lasts up to 9 hours between charges. That’s impressive battery life for any notebook. But for a high-performance notebook with an ultra-high-resolution display, state-of-the-art processors and graphics, and a super-slim design, it’s absolutely remarkable. The built-in battery gives you up to 1,000 full charge and discharge cycles and up to 30 days of instant-on standby time. You’ll notice a difference in whatever you do — starting up takes seconds, apps launch quickly, even navigating the desktop feels incredibly fluid and responsive. It’s all thanks to PCle-based flash storage with amazingly fast read and write performance.2 So you can import huge photo libraries into Aperture in no time flat. Since these MacBook Pro models come with up to 1TB of flash storage, you can keep all your important files with you.3 Flash doesn’t have any moving parts, which makes it super-durable and quiet. And flash storage is extremely energy efficient, which means your MacBook Pro also has the ability to stay in standby mode for up to a month, without plugging in. So whether it’s been 1 day or 30, your all-flash MacBook Pro will spring to life, from wherever you left off. Meet the ultimate mobile creative studio. With an emphasis on mobile. Equipped with 802.11ac Wi‑Fi and Bluetooth 4.0 wireless technology, you’re free to unplug and still stay connected — to your network, to your wireless peripherals and to the world. With AirPlay and Apple TV, you can wirelessly play video, show off photos and enjoy music from your MacBook Pro on your widescreen TV. And when your MacBook Pro connects to an 802.11ac Wi‑Fi base station, such as AirPort Extreme or AirPort Time Capsule, your wireless performance is up to 3x faster. Choose the 13-inch, you’ll get two Thunderbolt 2 ports, two USB 3 ports, an HDMI port, an SDXC card slot and a headphone port. So in a matter of minutes you can build an entire professional studio with MacBook Pro as its centrepiece. When we designed the MacBook Pro with Retina display, we started with a blank slate. That gave us the freedom to imagine something radical, something entirely different. A notebook so thin, so light and so powerful. A notebook designed for the future, but ready to use today. It may be incredibly thin and light, but MacBook Pro with Retina display is also incredibly powerful. To achieve all that in a single design required relentless focus and a willingness to make bold decisions. Every millimetre was designed, engineered, built and assembled to the most exacting performance standards. Bulky legacy technologies like the spinning hard drive and optical disc drive were left behind in favour of newer, higher-performance technologies — PCIe-based flash storage, for example. Flash is much faster and far more reliable than a traditional hard drive. And it takes up 90 per cent less space. Which is one of many reasons MacBook Pro isn’t just extremely capable, it’s extremely portable too. The Retina display is a breakthrough — any way you look at it. We pushed the limits of technology to create a pixel density so high, you can see everything you’re doing with perfect clarity and make edits with pinpoint accuracy. Not only is it an incredibly high-resolution display, it has an integrated design that achieves a level of fit and finish never before possible. The Retina display doesn’t sit behind a layer of glass, it is the glass. Which means you get all the benefits of a state-of-the-art display — vibrant colours, high contrast and wide viewing angles — with very little glare. So there’s more to see, and even less to distract you from your work. We designed every aspect of the MacBook Pro with Retina display with performance in mind. From the beginning, the entire internal structure was built to house the very best high-performance components: state-of-the-art processors, graphics, storage and memory. Despite packing such an enormous amount of power into such a slim design, we still achieved an astonishing nine hours of battery life in the 13‑inch model and eight hours in the 15‑inch.2 We also found a way to integrate the highest-quality speakers we’ve ever designed for a notebook. And we engineered a new cooling system that draws in air from three sides of the notebook. Alone, each of these elements is an incredible accomplishment. Together, they make MacBook Pro the world’s most advanced notebook. The forefront of technology built into both sides. Designing MacBook Pro with Retina display meant completely rethinking which ports belong on a high-performance notebook. 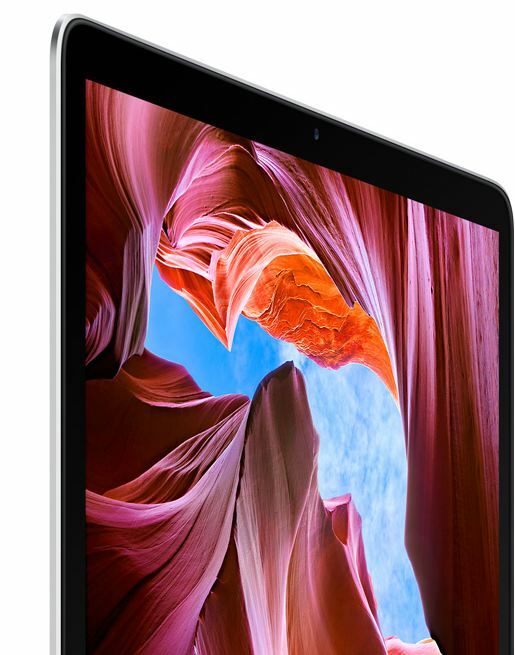 Both the 13-inch and 15-inch models feature the most advanced I/O technology available. They’re the first notebooks ever to include two Thunderbolt 2 ports, two USB 3 ports and an HDMI port — giving you the flexibility to connect multiple external displays, an HDTV and other high-performance devices. Without a traditional optical drive, there’s room for ports conveniently located on both sides of the notebook. Even the slim MagSafe 2 port complements its thin, sleek design. So you can take this notebook anywhere. And be ready for anything. 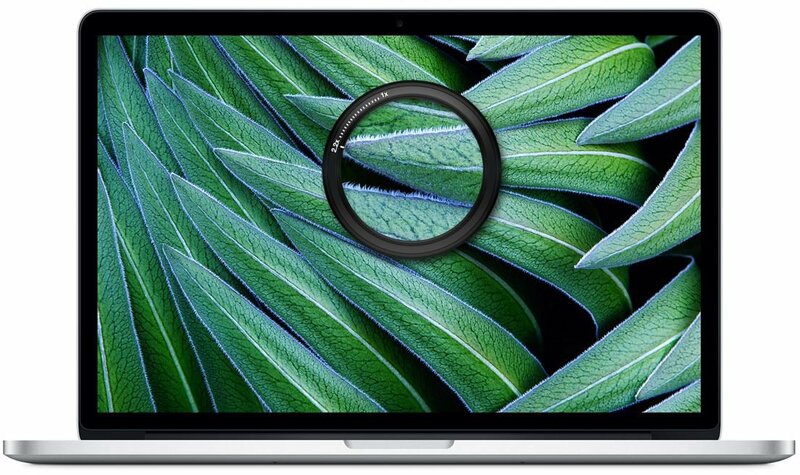 MacBook Pro with Retina display is the result of an obsessive focus on detail. Apple designers and engineers worked closely together to craft every single piece that went into making it — the fans, the vents, the speakers, the noise-reducing microphones, the screws, even the machining of the thumbscoop. Everything was considered, and nothing overlooked. Because when a notebook becomes this advanced, every nanometre counts. OS X. It's what makes a Mac a Mac. 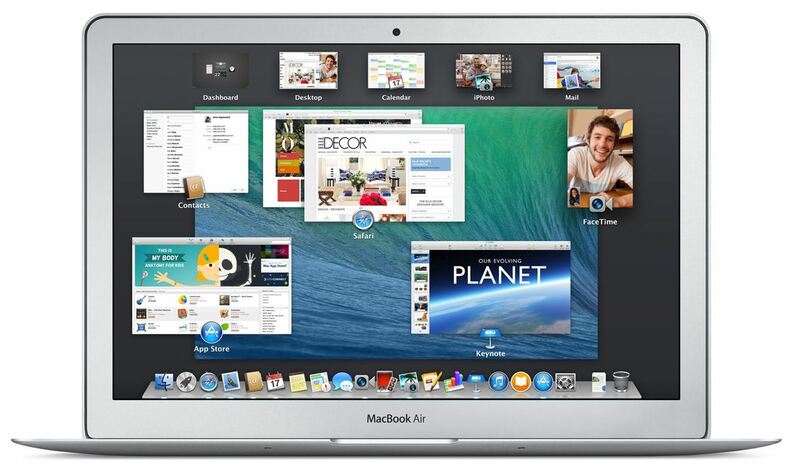 OS X is the operating system that powers every Mac. Built on a rock-solid UNIX foundation, it’s engineered to take full advantage of what the hardware is capable of. And it’s designed to deliver the most intuitive and integrated computer experience in the world. OS X is built to bring out the best in your Mac, so you get a fully integrated system in which everything works together seamlessly. It works with the processor in your Mac to deliver the best possible performance. It works with the super-responsive trackpad in Mac notebooks so Multi‑Touch gestures feel natural to use. Technologies like Power Nap take advantage of the Mac hardware to keep the entire system up to date while it sleeps.1 OS X gives you long battery life with advanced power-saving technologies like Timer Coalescing and App Nap. And it’s optimised for the high-resolution Retina display in the high-performance MacBook Pro. From the desktop you see when you start up your Mac to the applications you use every day, everything is designed to be easy and intuitive. On a Mac, it’s easy to find, share and do just about everything. You can control your Mac with simple, intuitive gestures. The Dock makes it easy to open your favourite apps. Launchpad gives you quick access to your full library of apps. The Finder lets you browse and organise your files with ease. Spotlight search makes locating the file you’re looking for effortless. You can even have your apps and the operating system software update automatically. In fact, a Mac does so many things automatically, sometimes you don’t have to do anything at all. We believe the best way to bring Multi‑Touch gestures to a computer is on the horizontal surface of a trackpad. So navigating your Mac using your fingers to tap, scroll, pinch and swipe feels perfectly natural. And because Apple makes both the hardware and software, Multi‑Touch gestures are remarkably precise. When you scroll down, your document scrolls down. When you scroll up, your web page scrolls up. When you swipe left, your photos move left. These and other gestures make all you do on your Mac easy, intuitive and fun. Built for power. From the ground up. Making powerful things simple requires some seriously advanced technologies. OS X is loaded with them. It’s built on a rock-solid, time-tested UNIX foundation that provides unparalleled stability and industry-leading support for Internet standards. 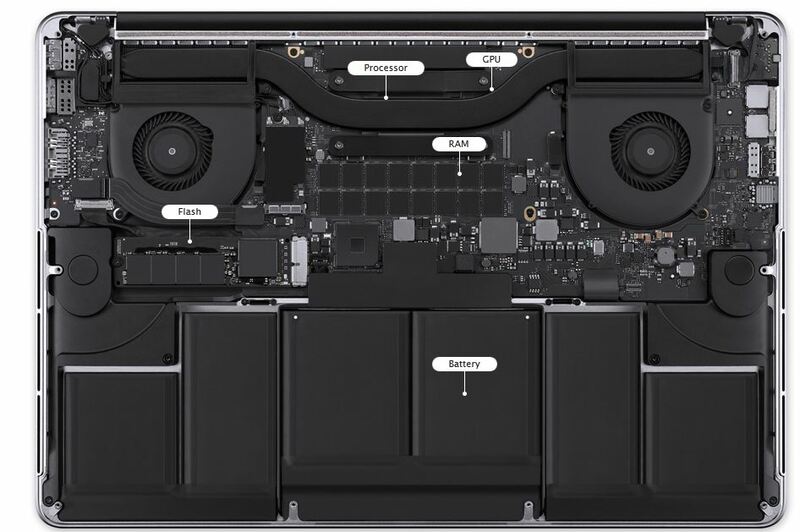 OS X takes full advantage of the multicore Intel processors in every new Mac. And the incredible graphics capabilities in OS X allow applications like Aperture and Final Cut Pro to give you unprecedented photo and video editing power. Advanced features for power users. And everyone else too. As a desktop operating system, OS X offers powerful ways to get work done as efficiently as possible. For example, you have multiple ways to organise and find files — whether they’re on your Mac, on a server or in iCloud. With Finder Tabs, you can consolidate multiple Finder windows into one, so you can access and organise all your files from a single window. And tags let you organise files so you can easily find them later by searching or simply clicking a tag in the Finder sidebar. If you like to work with multiple applications at the same time, Mission Control gives you a bird’s-eye view of everything that’s running on your system. And if you want to use a second display with your Mac, just plug it in — no configuration required. If you have an Apple TV, you don’t even have to plug in because you can use your HDTV as a fully functional second display over your wireless network. If you love your iPhone or iPad, you'll love your Mac too. If you already use an iPhone or iPad, a Mac will feel instantly familiar. That’s because OS X and iOS have many of the same apps and features — Safari, Mail, Contacts, Calendar, Maps and more. And thanks to iCloud, the apps on your Mac work together with the apps on your iOS devices.2 Whatever you do in apps like Mail, Contacts and Calendar on your Mac happens on your other devices too. So, for example, a contact or a calendar event you add on your iPhone also appears on your Mac. You can send driving directions from your Mac to your iPhone. Add a meeting to your calendar on your Mac and receive an alert on your iPad. Even start an iMessage conversation on your iPhone and finish it on your Mac.